The biggest protagonist head of Barça’s final league game of the season was, unquestionably, Luis Enrique. Minutes before kickoff of Barça v Eibar at Camp Nou, a gigantic banner was unfurled in the east stands, with a special message for the Asturias, Spain native. 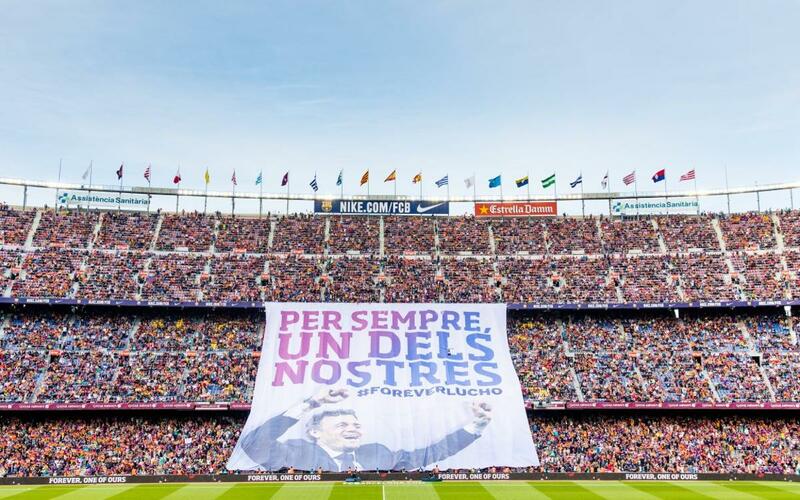 “You will always be one of us,” it read, along with the hashtag #ForeverLucho, an allusion to the coach’s nickname. Luis Enrique’s final match at Camp Nou as Barça’s coach comes as his team is trying to win its third straight league title. So far, Barça has won eight under his command, out of ten possible. The full list includes two La Liga crowns, two Copa del Rey titles, one Champions League, one Club World Cup, one European Super Cup and one Spanish Super Cup. In the grand esplanade outside the main grandstand, the Club set up a special mural where fans could leave the manager messages of thanks.